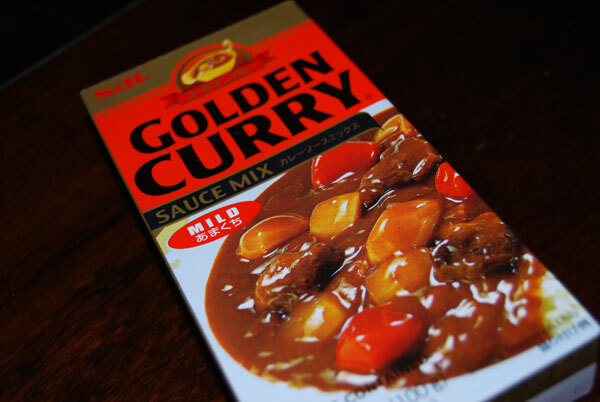 I used a product called S&B Golden curry sauce mix in this soup. It comes sealed and is firm and somewhat pliable so can be sliced. It has some thickening qualities, and gave a nice flavor to the soup. Sautee mushrooms in 2 Tbsp. butter. Transfer to crockpot. Sautee onions and sweet pepper in olive oil. Transfer to crockpot. Add chicken, garlic, tomato, broth and bay leaves to crockpot. Dice the entire package (5 servings) of curry mix just to break it up, and add to crockpot. Stir all ingredients. Cook on high for 4 hours or low for 8 stirring once or twice during cooking. Garnish with parsley and a dollop of sour cream. Makes 16 one cup servings. 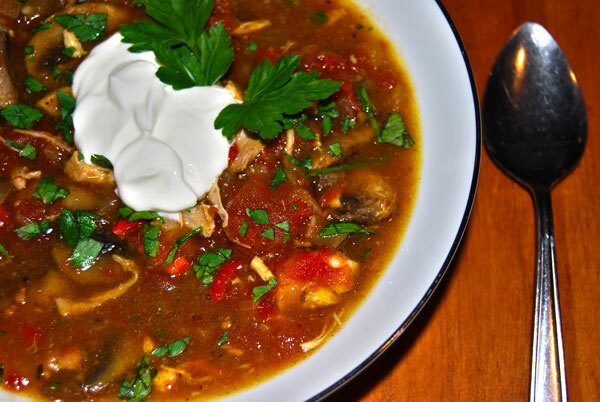 I love doing it in the crockpot….I work from home and at the end of the day when I head upstairs to the kitchen the entire upstairs smells awesome.